Your organization faces a tremendous challenge every time you speak to an audience. Whether it's a sales pitch, team meeting, client update, or conference panel or keynote, you must present your ideas with influence and impact. Are your employees or leadership team up to the task? 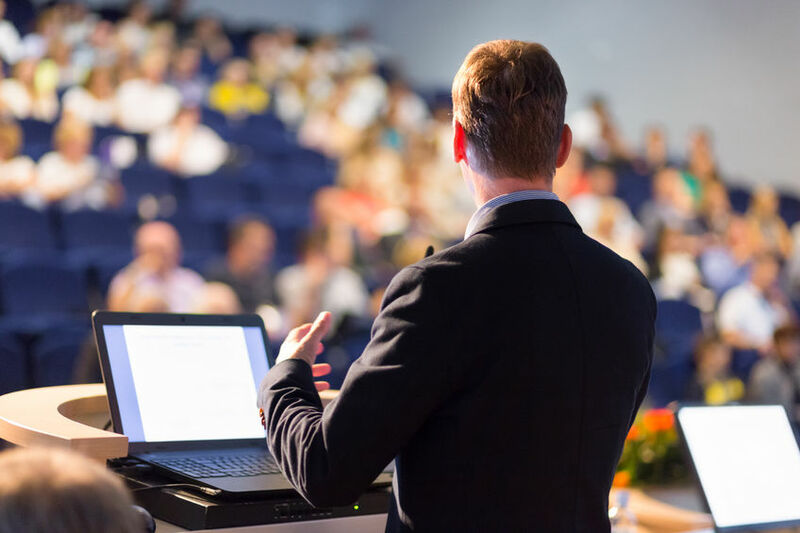 The Genard Method of performance-based public speaking training will revolutionize your organization's presentation and public speaking skills. As an actor, communications professor, and speech coach, I developed my system to bring powerful theater-based techniques to business speakers who need to perform at their best while persuading and activating listeners. Dr. Arny Bereson, Executive Director, The American Society for Nondestructive Testing, Inc.
My one-day on-site Speak at Your Best! corporate training program boosts the communication skills of your employees or business teams. My two-day on-site Voices of Leadership program shows C-suite executives, senior management, association boards, and other leadership teams how to speak with power, poise and professionalism. This training features group activities on Day One, and private sessions on Day Two. Personal Executive Speech Coaching is also available with me at our Boston office for more confident and compelling speaking skills. Building awareness and skills for dynamic presentations. Telling your company's story compellingly. Learning how to engage and keep an audience's attention. Raising your level of speaking competence company-wide. Developing more confidence among employees in public speaking skills. Leading prospects and stakeholders to action. Learning how to coach and critique each other. Attaining a stronger voice in your industry. Call us today, and let us tell you how your employees can influence audiences with greater impact and success. We look forward to hearing from you! Call 617-993-3410 or contact us to learn more. Boost your team's ability to speak with presence and impact. On-site group training available worldwide.